Although it might not seem like it, politicians are people too, and they do strange and sometimes embarrassing things — like Carly Fiorina, who sings to her dogs Max and Snickers. Unlike us, Fiorina shared her adorably geeky secret with all of America when she performed her canine hit during her interview with Jimmy Fallon on The Tonight Show Monday. But don't insinuate that it's dorky to her face, or else Fiorina will have some harsh words. "My dogs are not dorky," she told Fallon sternly. Fiorina had no problem sharing her dog ballad when Fallon brought up her passion for singing. "Do you want to hear?" the candidate asked Fallon. "This is a song in four verses, I'll give you one," Fiorina said, before breaking into a song about her dog Snicker's laziness set to the tune of "Rock Around The Clock." Please don't take a walk with me. I'd rather stay right here at home instead. I want to lie back down in my nice warm bed. My name's Snick, and you're gonna have to carry me. It's a move that may seem strange and undignified for someone who is currently polling in second place for the Republican nomination. But the song, like her entire interview with Fallon, aimed to show a different side of Fiorina (as most late-night political appearances are designed to do). Thus far, voters have seen her impressive debate performances, during which she is quick, ruthless, and thinks off her feet. But during her interview with Fallon, the American people got a glimpse of a woman who is funny, witty, and actually pretty normal. Because the truth is, Fiorina is just like most of us — only way richer and a lot more successful. Sharing the song she uses to serenade her two Yorkshire terriers on national television proves that she can be just as weird and obsessive about her pets as the rest of us too. Fiorina might be wise to take advantage of the dog lover voting bloc that definitely exists. The interview also opened up so many more questions. 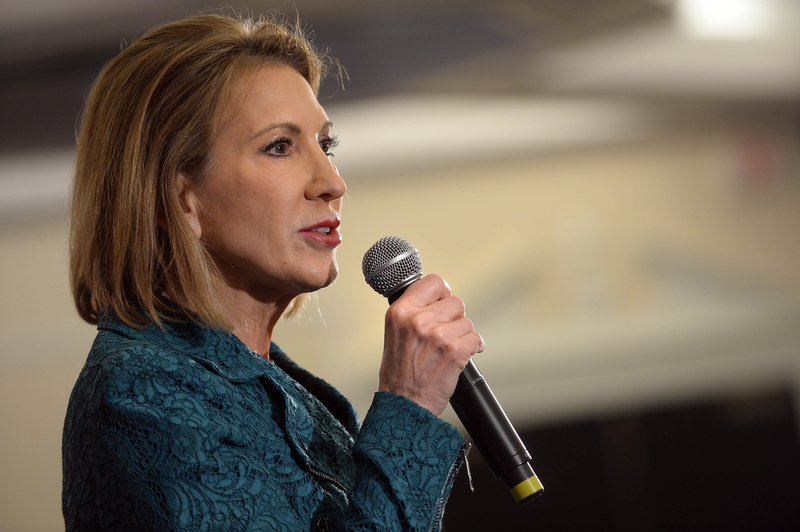 If Fiorina is elected president, will the dogs come? Will America finally have some new presidential canines to obsess over? And will the Yorkie ballad become a staple of her stump speeches? In case you missed Fiorina's stunning performance, you can watch the video here.